It is that time of year again! The holidays are here and it is time to celebrate with food, friends and loved ones. While many people feel that the holiday season has to be filled with an over indulgence in white refined foods and alcohol – I beg to differ. The recipes, products and books below will show you how to eat, indulge and enjoy naturally (without any weight gain!). Even better – this holiday edition of the Dr. Joey newsletter is also filled with the best gift giving ideas... all based in natural health care. I encourage you to click on the Ciytline link below and consider giving the gift of health this year. I also look forward to kicking off the Cityline weight loss challenge once again in 2014! Our 3 winners last year lost over 96 pounds collectively. I hope you follow along with us as I will be posting many new delicious recipes, meal plans and blogs. Cityline and I will also be hosting live one on one chats where all your questions will be answered. 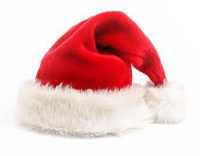 Check out how to give the gift of health on Dr. Joey's Cityline blog. 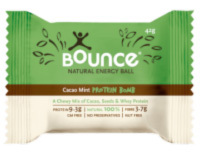 Cacao Mint Bounce Balls – These delicious mint flavored nut-free protein balls contain 9g of protein per ball, making it a great easy-to-grab snack that will fill you up and keep you satisfied. The perfect combination of cacao and mint found in these balls not only makes this protein bar delicious, but also provides a source of antioxidants and nutrients. Sleigh Ride Herbal Tea from David's Tea – The cold weather arrived arrived quickly this year, and what better way to warm up this season than with a hot cup of sweet herbal tea. 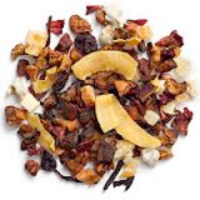 This apple, cinnamon and beetroot herbal tea blend is a sweet way to stay hydrated and warm! Add hot water to 2 tsp of tea in your favorite mug and let it steep for 6 minutes. Then sit back and enjoy the wonderful flavors this tea has to offer. Catherine's Cranberry Sauce – Lets be honest – cranberries go hand in hand with the holidays and all the dinners that come along with the season. With most cranberry sauces filled with sugar and artificial ingredients, it was a real treat to find Catherine's Cranberry Sauce filled with all natural ingredients and lower in sugar. Flamous Falafel Chips – Flamous falafel chips combine herbs, spices, veggies, and legumes to make a great gluten-free, low sodium snack. Also perfect to use on the side of holiday dips. Above all else – they are absolutely delicious! Balsamic Fig Salad Dressing by Stonewall Kitchen – The sweet taste of this salad dressing is perfect for your holiday meal and is only 80 calories per serving. As one of my new top dressing, I am also pleased to report it is 100 percent gluten free. The blessing basket – Of all of my holiday finds so far... this one is definitely my favorite. Blessing baskets are hand woven and beautifully painted baskets made by women living in poverty stricken areas around the world. By purchasing these beautiful baskets you are helping to reduce poverty in developing countries and supporting artisans who are paid fare wages to make these baskets. This unique financial model creates a cycle of entrepreneur driven growth resulting in permanent financial independence for artisans. Trust me... each basket is more beautiful than the next. 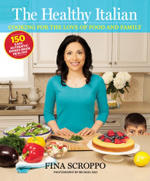 The Healthy Italian by Fina Scroppo – I love Italian food and was excited to receive the new release The Healthy Italian as a gift. Author Fina Scroppo has created a beautifully photographed and laid out recipe book that is filled with Italian themed recipes that are easy to make, loaded with nutrition and are absolutely delicious. From scrumptious pastas to fast frittatas to even decadent desserts, savor 150 authentic recipes just like Nonna used to make – only better! Each recipe also contains fun food facts and nutritional breakdowns to satisfy the "health nut" in all of us. A perfect holiday present. David's Tea Sampler Set – For a quick and easy gift idea that everyone is bound to love, check out David's Tea holiday collection. 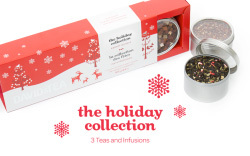 They offer some amazing pre-packaged holiday tea sampler sets that will put a smile on anyone's face. Dr. Joey's Skinnychews – Looking for the perfect stocking stuffer this Christmas? Well look no further! With less than 20 calories per chew and 4g of inulin fiber per serving, gluten free and naturally sweetened, you can't go wrong with Dr. Joey's Skinny Chews! Pop 2-3 chews at your 'danger zone' or have them to help satisfy 3 PM cravings or nighttime eating. Remember – order 2 bags or more and shipping is on us! 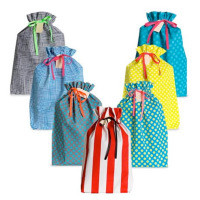 Reusable Gift Gags – Reduce the waste and stress often associated with gift wrapping and put your gift items in these bright and exciting gift bags this holiday. See what all the buzz is about at Ontario's #1 weight loss clinics. Our programs are based on a hormonally balanced weight loss approach that helps our clients reach their goal weight naturally and easily for life. Don't wait until January to take charge of your health and lose weight – start today! Contact inquiries@shulmanweightloss.com to book your free initial for our Thornhill, Downtown or London location! OUR FAVOURITE FOOD THIS HOLIDAY... Pomegranates! 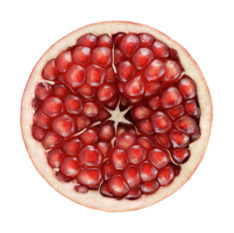 Pomegranates are a low calorie, nutrient packed super fruit that offers the perfect sweet taste for the holiday season. The seeds in the pomegranate contain potent antioxidants - ellagric acid and punicalagin acid– which help fight damage caused by free radicals. Pomegranate juice has also been shown to offer cardio protective benefits to help prevent heart disease and stroke. If you find de-seeding a pomegranate a little too messy or time consuming – you can also purchase the seeds on their own. Click here to view my pomegranate goat's cheese and basil bruschetta appetizer for your holiday party this year – yum! Add onions and zucchini and stir well. Fry pre-shaped cakes in coconut oil. Pat with paper towel and enjoy. Roast peppers until blackened all over (both sides). Transfer to a bowl, and cover, letting stand about 15 minutes. Peel, and discard skins, stems, and seeds. Set peppers aside. Combine garlic and walnut pieces in the bowl of a food processor; process until fine crumbs form, about 10 seconds. Add paprika, cumin, red pepper flakes (optional) and reserved peppers; process until smooth, about 10 seconds. Add vinegar, lemon juice, oil, and salt, and season with black pepper. Pulse until combined. Transfer to a serving bowl; cover. Refrigerate at least 1 hour or overnight. Combine all nuts/seeds in a large mixing bowl. Pour maple syrup or honey in bowl, add spices and combine well. Bake at 25-30 min, turning after the first 15 minuets. Add the dried berries only for the final 5 minuets of baking. Allow mixture to cool thoroughly and store in an airtight container at room temperature. Combine all ingredients (except honey/stevia) in a small pot. Pour into serving cups and enjoy. Add honey or stevia if desired. A one month health makeover with Dr. Joey's team! A basket filled with Dr. Joey's books, supplements and CD and 1 year supply of Dr. Joey's Skinnychews!